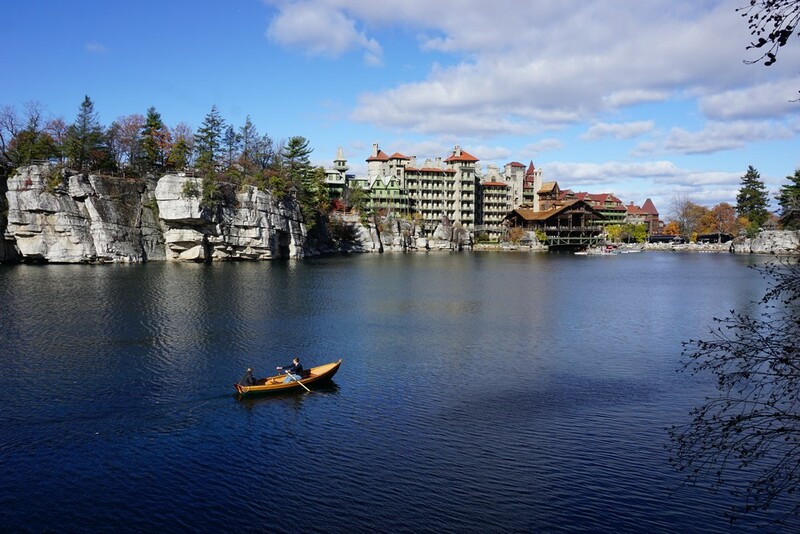 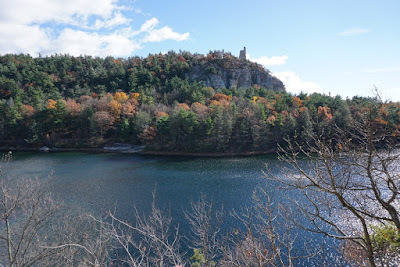 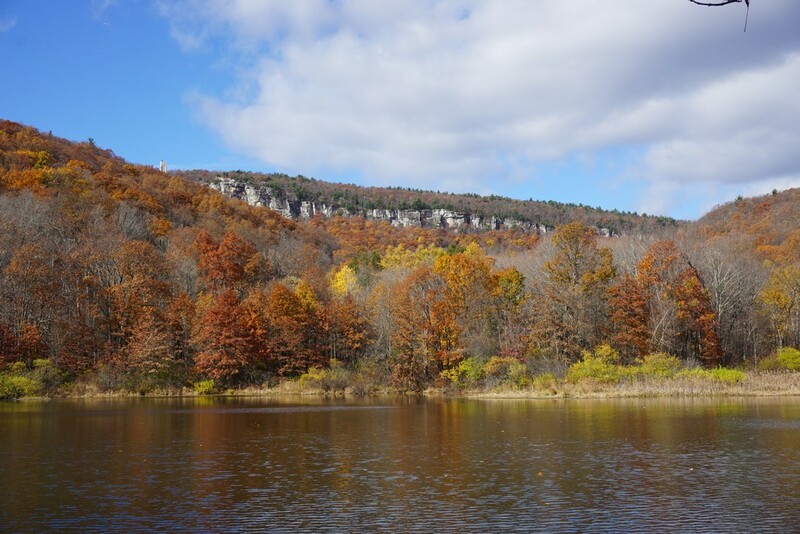 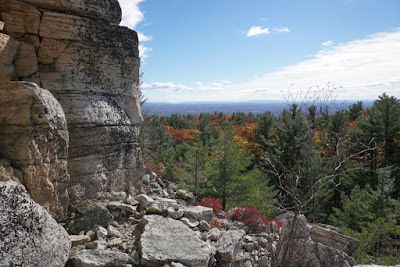 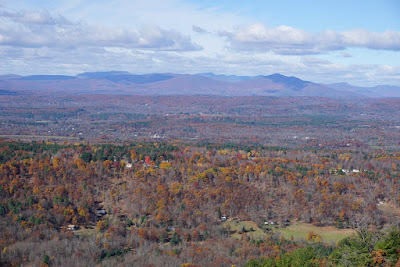 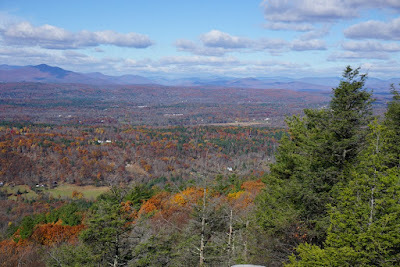 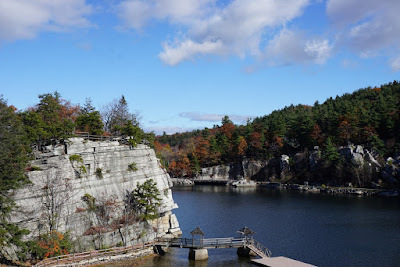 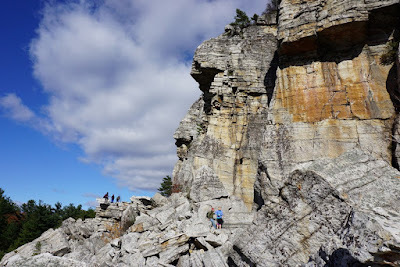 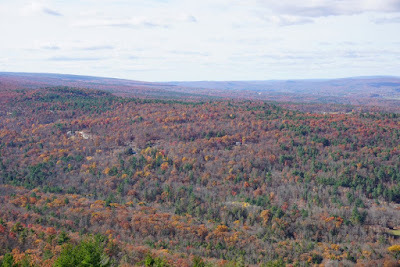 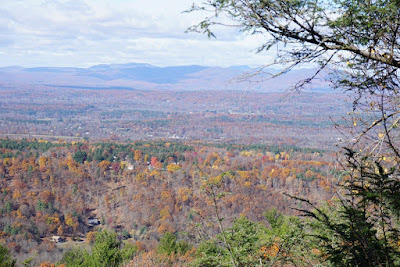 It had been a while since I had been in Mohonk during the fall foliage season. 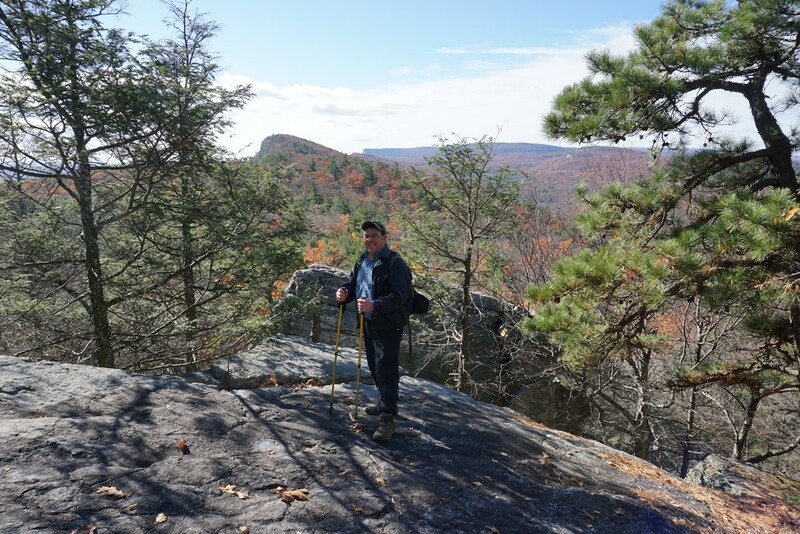 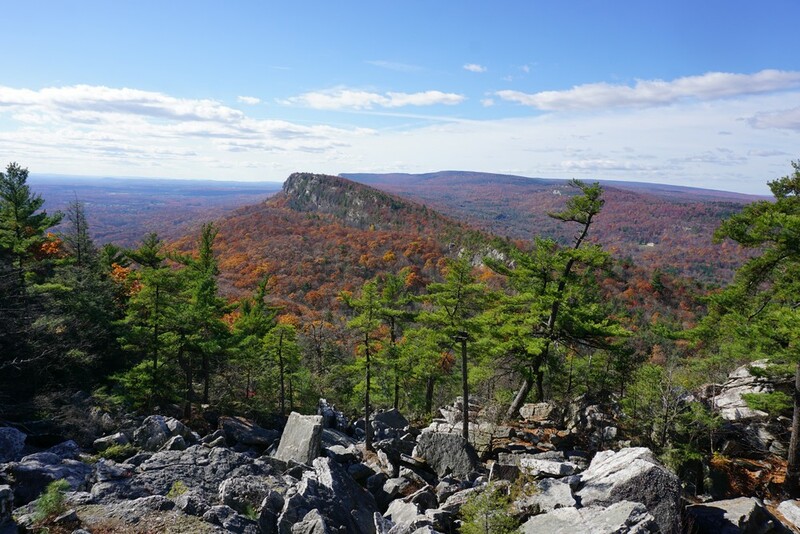 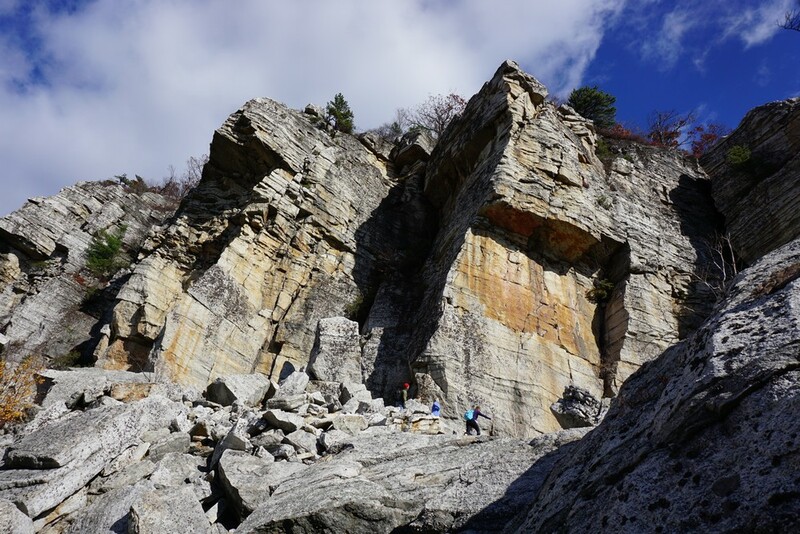 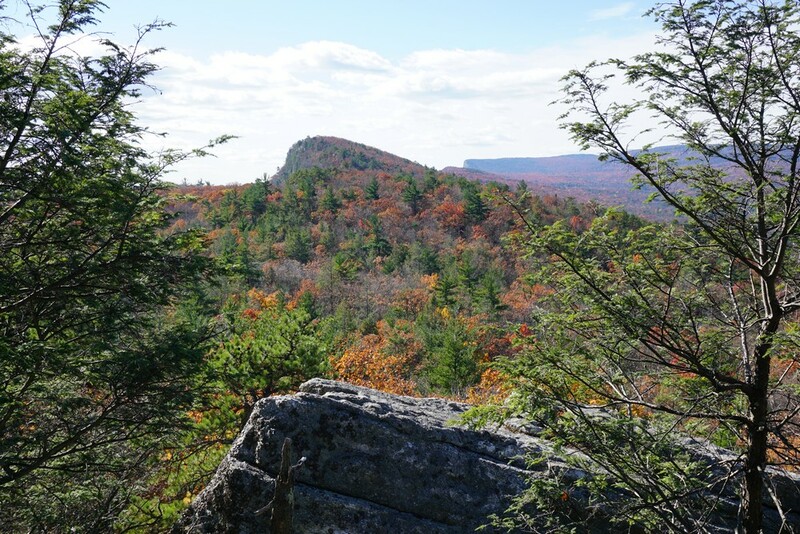 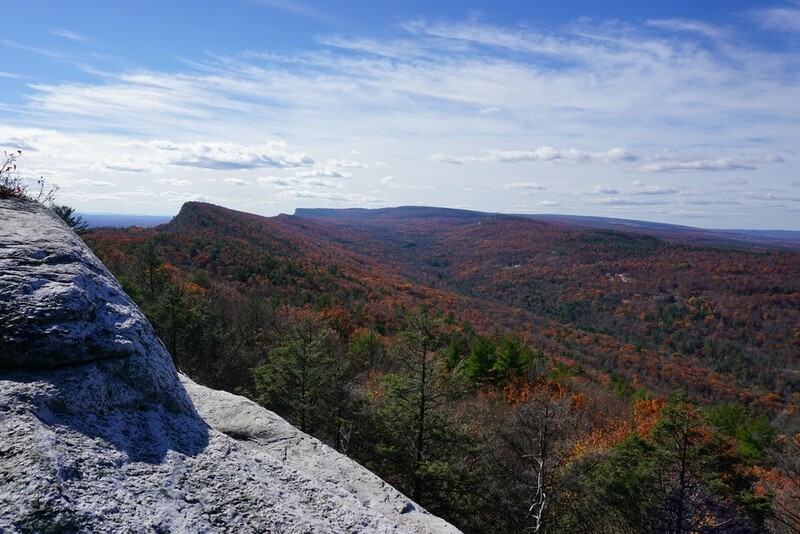 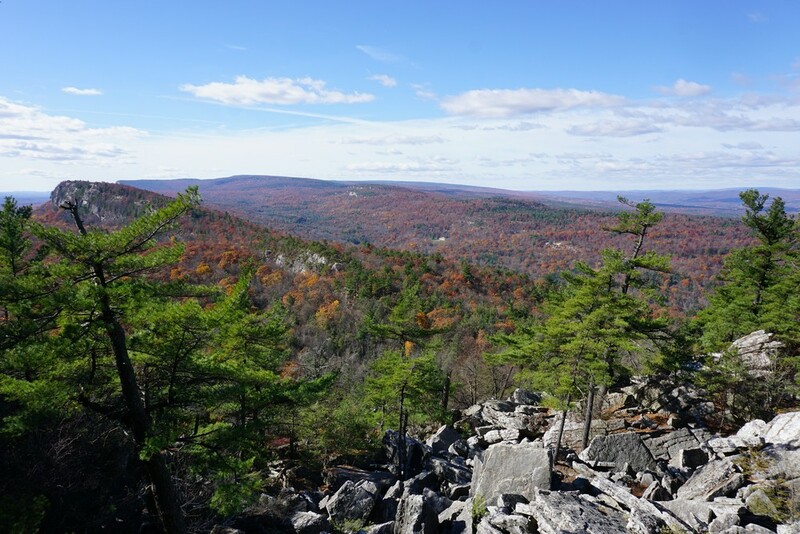 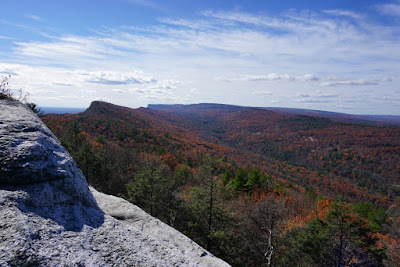 This was a beautiful fall day and a great day for a hike up in the Gunks. I was able to get an extra-early start because of the clock change. 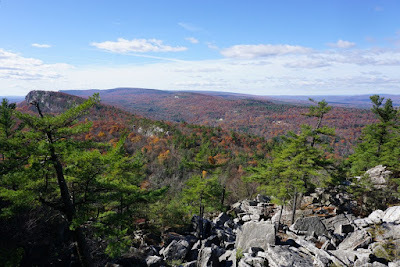 I went to sleep regular time and woke up an hour early at the crack of dawn, so got up the mountains quite early. 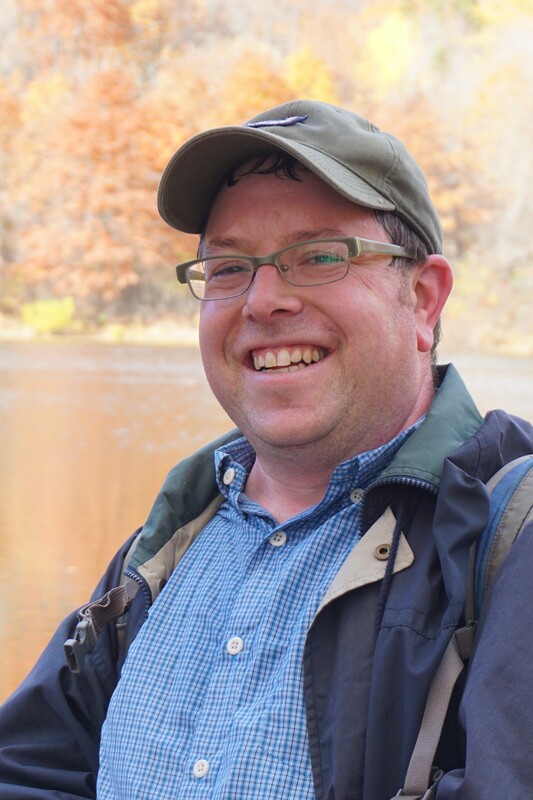 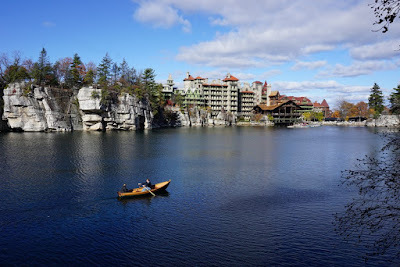 I had a very disappointing experience once again with the Mohonk Mountain House staff. I had gone to park at the Mountain House gatehouse area and would hike from there to the scrambles area below Eagle Cliff. 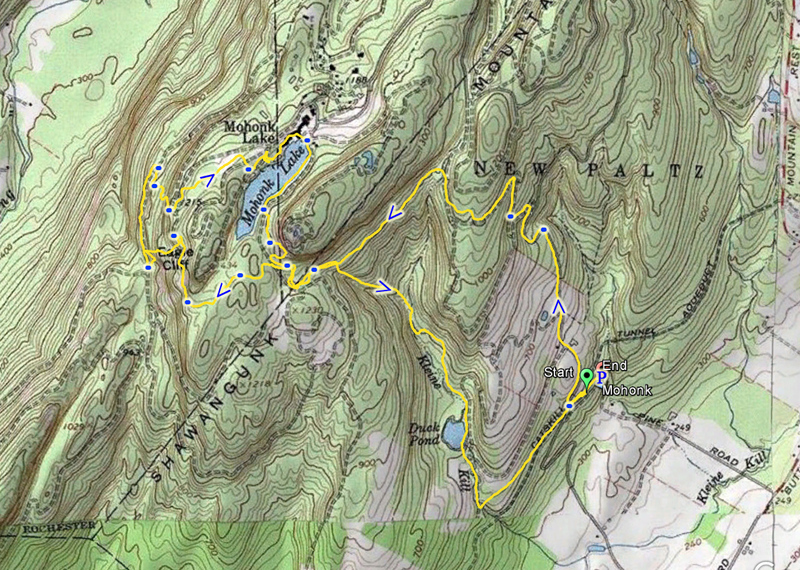 I had my entire route planned out. Being a Mohohk Preserve member, I had discounted parking at that area. Anyways, to my disappointment, I was told because it was the fall foliage season they couldn't honor my preserve membership to park at the gatehouse area unless I paid the full $27! 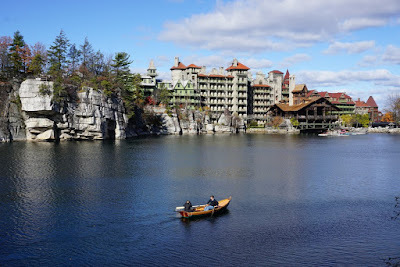 I had no idea about this, and was very disappointed. 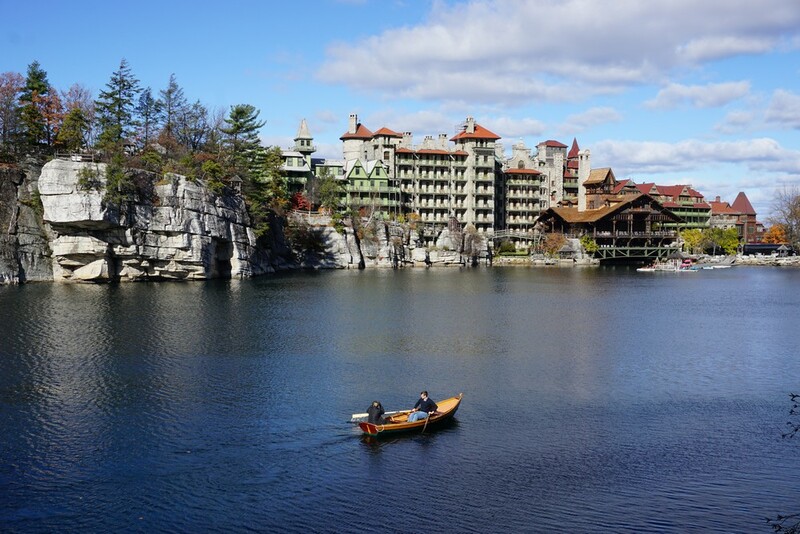 That is a lot of money, and on principle I couldn't bring myself to that. I will dedicate a separate post to this and urge the public against getting Mohonk Preserve membership. 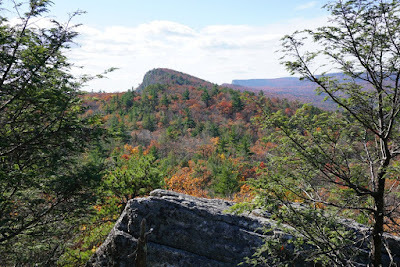 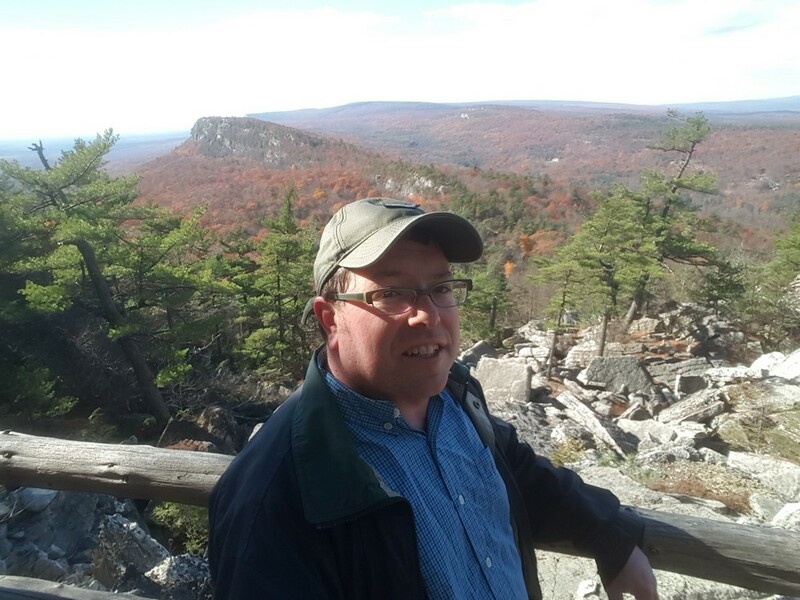 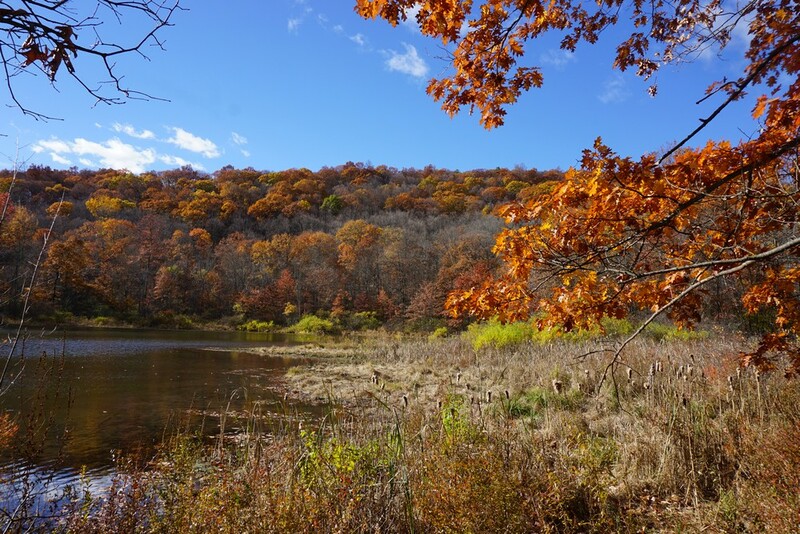 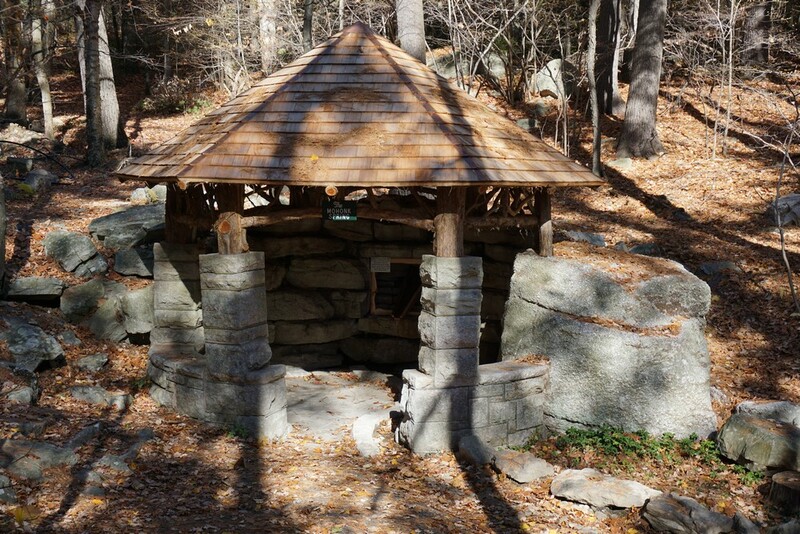 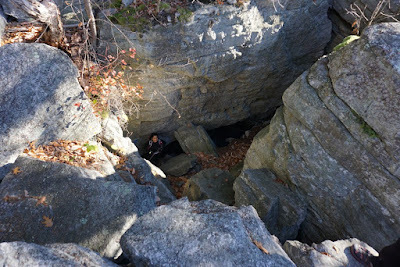 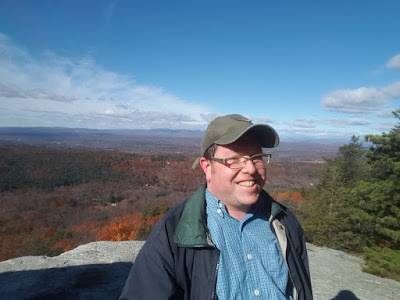 I turned around from the gatehouse, and went back down Mountain Rest Road, and went to the Kleine Kill area instead and restrategized my plan to ascend the mountain from the Duck Pond area. 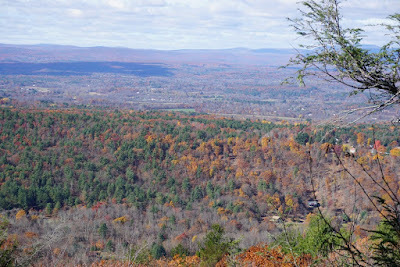 I took Lenape Lane, as it snakes up the mountain, to Oakwood Drive, and then Forest Drive, as it goes along the eastern side of the cliff. 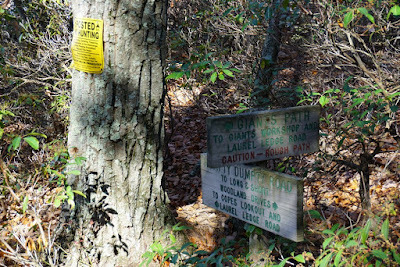 I then took the Short Woodland Road, to the Short Woodland Path, to Humpty Dumpty Road. From Humpty Dumpty Road, I took the Giants Workshop Trail to its end. 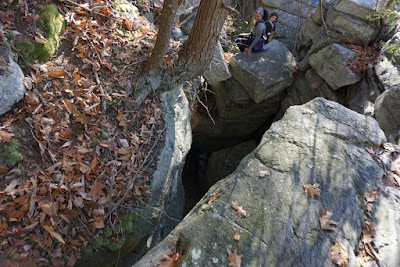 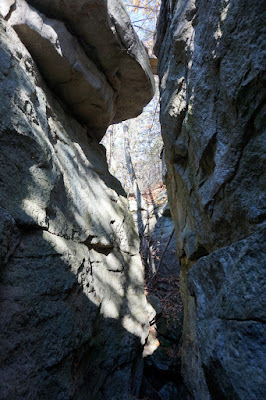 This trail is a very good and tight scramble through narrow rock passageways, requiring tight squeezes. 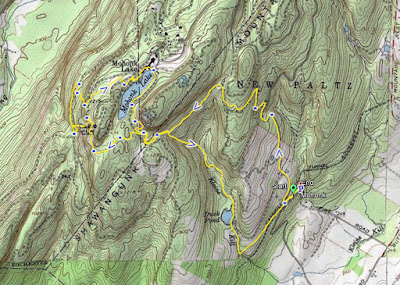 At the end, I took the carriageway towards the Plateau Path and cut across to it, and then took the Cathedral Path back up the mountain. 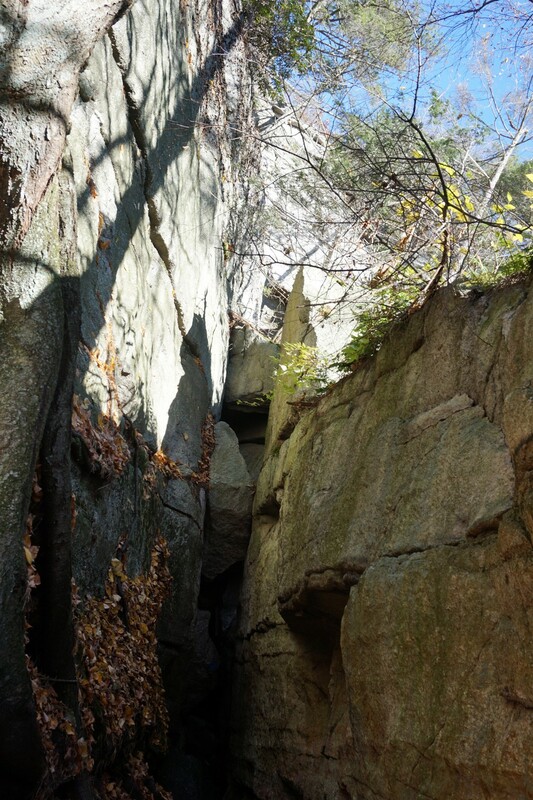 The Cathedral Path is another one of those super-tight and crazy scrambles in the area. 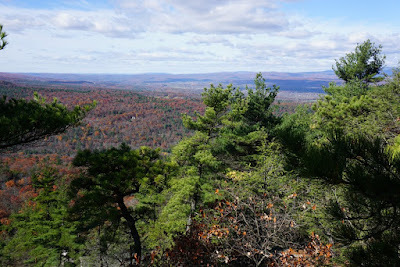 At the top of the trail is an incredible view facing south and west. 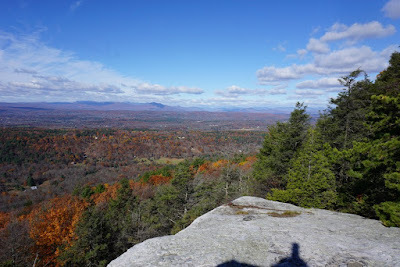 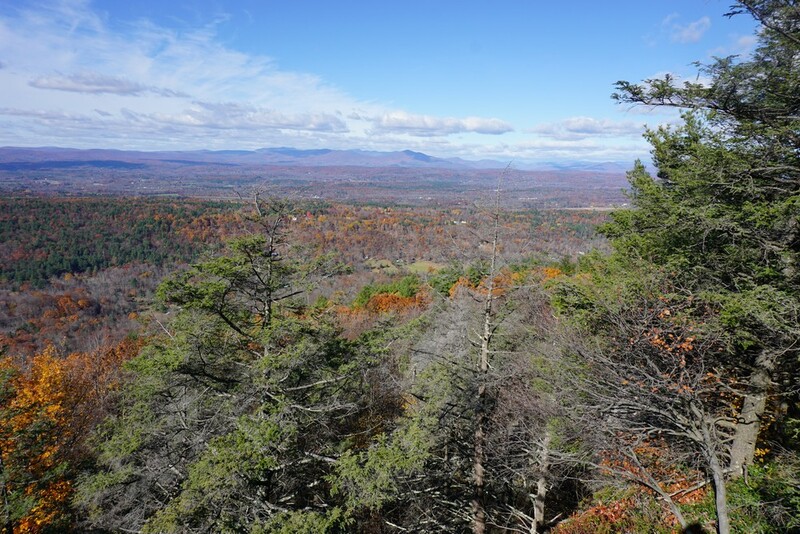 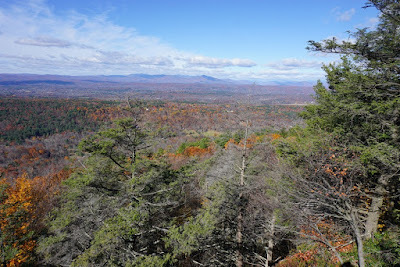 At this point, I took the Copes Lookout Road, to the Copes Lookout Path, to the Mohonk Mountain House. 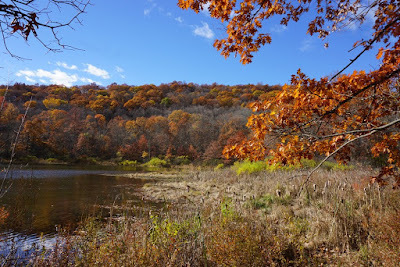 I took some nice pictures overlooking the lake, then walked around the northern part of the lake to the Lake Shore Path. 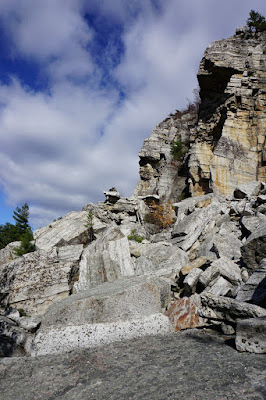 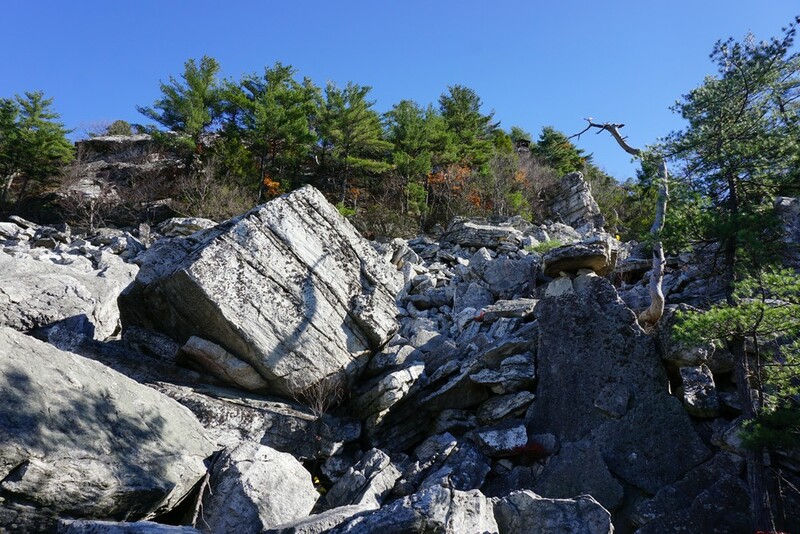 I then cut across to the Spring Path, and climbed up the rock talus to the Crevice Connector Trail and Staircliff Path. 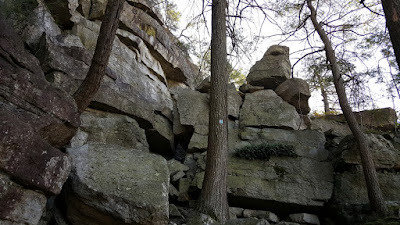 I then climbed down the rock talus on a connector trail back to Forest Drive. 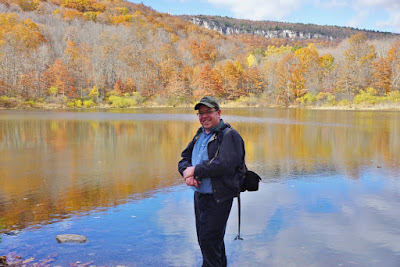 I then took the Duck Pond Trail all the way down the mountain, taking a short bread down at the Duck Pond. 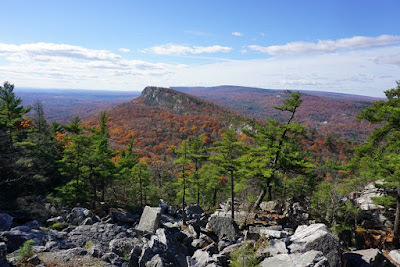 I then took the old Duck Pond Road and curved back on the carriage road to the Kleine Kill trailhead area.